The U.S. economy is growing nicely, with any recession at least a few years out in the future. Average wages for working folks are also starting to increase after years of stagnation. Confidence in the economy and more money in their pockets will have people more willing to spend on recreation activities. Now is a good time to consider income stocks backed by consumer discretionary spending, especially for recreation activities. Real estate investment trusts (REITs) own a wide range of property types lease the many kinds of businesses. It is often financially more efficient for a retail or services business to lease property or buildings rather than own them. REITs typically specialize in a specific property type. This gives them expertise to generate superior returns and often help their tenants be more successful in their own businesses. 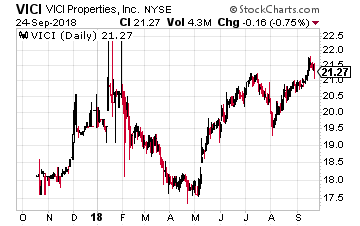 As noted above, this is a good time to look at REITs with properties used in the recreation and leisure industries. Here are three specialty REITs focused on gaming and other recreation activities. VICI Properties, Inc. (NYSE: VICI) was spun-off by Caesars Entertainment (Nasdaq: CZR) with an October 2017 IPO. The company’s portfolio includes 20 market-leading gaming properties in nine states, including the world-renowned Caesars Palace, and four championship golf courses. The properties are leased to Caesars Entertainment Corporation and operate under leading brands such as Caesars, Horseshoe, Harrah’s and Bally’s. Caesars doesn’t not have an ownership position in VICI and there are no Board members common to both companies. With the spin-off, VICI is completely independent. Caesars does provide very strong 3.6 times rent coverage on the properties and contracted capex spending commitments to keep the properties at the forefront of the gaming industry. The REIT is internally managed. For growth VICI has rights of first offer (ROFO) on properties Caesar would want to capitalize through a sale lease back. The REIT can also pursue third party acquisitions. Two dividends have been paid, with a 9.5% increase between the first and second. The shares currently yield 4.9%. 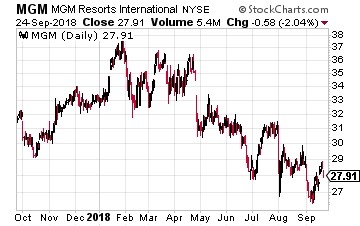 MGM Growth Properties LLC (NYSE: MGP) was spun-off in April 2016 by MGM Resorts International (NYSE: MGM) in April 2016. The REIT currently owns 11 properties leased to and managed by MGM. All the properties are on a single master-lease, which gives the rental payments to MGM Growth Properties the highest level of safety. The lease has built in annual escalators and a profit-sharing component. In contrast to VICI, MGM retains a majority ownership in MGP and pays all the operating expenses of the REIT. MGP also has ROFO on properties owned by MGM. The REIT has already made third party acquisitions. In its history, MGP has produced steady 10% per year dividend growth. 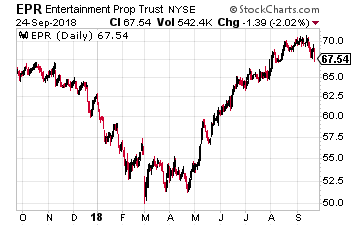 EPR Properties (NYSE: EPR) was founded in 1997 as a pure play owner of movie theater properties. Today the company 169 multiplex theater and family entertainment centers generating $280 million of annual net operating income, 80 golf entertainment complexes, ski areas, and other entertainment attractions producing $182 million of NOI, and 146 charter and private schools generating NOI of $115 million. The EPR management team has great expertise in its focused property areas and helps tenants be as profitable as possible. All properties are leased to tenants on triple-net contracts. The EPR dividend has grown every year since 2010 with a 7% compound annual growth rate. Dividends are paid monthly, and the yield is 6.1%. In 2019, you'll likely be one of the first to potentially upgrade your phone to 5G. Verizon Wireless says "5G is almost here." And when that happens, it could unleash a brand-new income stream for early investors. One opportunity, in particular, is extremely cheap at the moment handing out double-digit yields. It could be the biggest 5G income opportunity out there as they own over 5 million miles of fiber optics required to run 5G. Once the networks flip 'on' 5G, this company could increase its dividend payouts quickly. But you must act now before Apple and Android systems begin updating their phones. 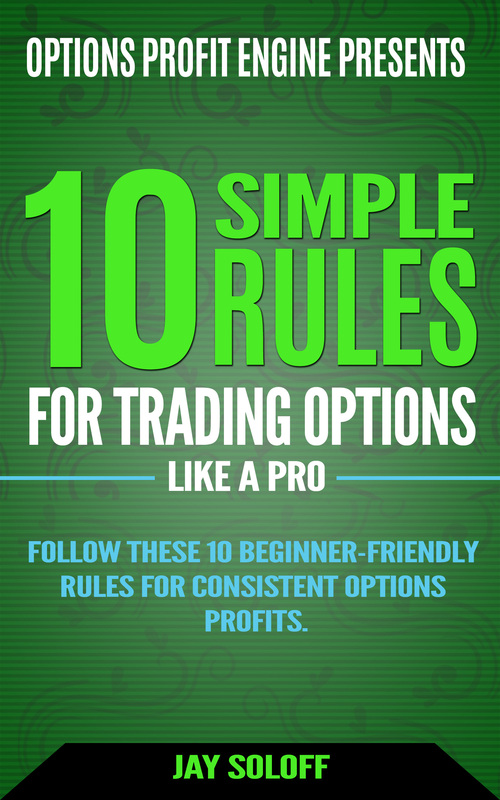 Click here to view two 5G income opportunities (FREE) from an acclaimed 30-year income investor.